Place Philly* in a baking dish. Cover with garlic and olive oil and bake at 150°C for 30 minutes until slightly browned and garlic has caramelised. Cool slightly. Drain off garlicky oil into a small bowl. Whisk in lemon juice and season to taste. Cut Philly* into cubes. Grill steak until cooked according to preference. Rest for 5 minutes and slice thinly. 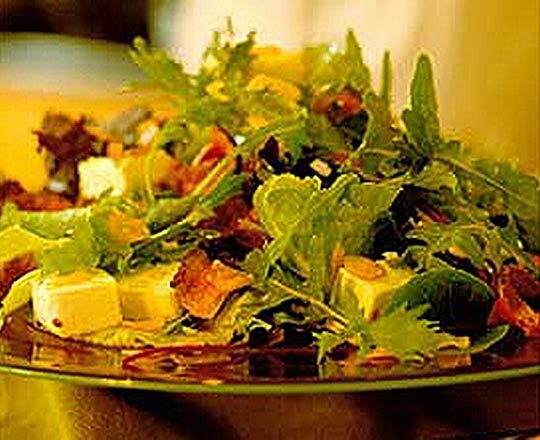 Arrange salad leaves on a serving platter, top with Philly*, steak and dressing. Serve.